​ A.P.E. 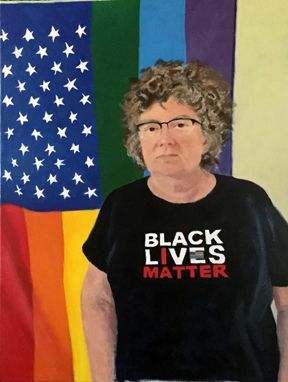 Gallery is excited to present its first-ever exhibition of self-portraits by 50 area women artists, many of whom have national or international reputations. Curators Jane Lund, Rachel Folsom, and Betsy Stone, all figurative painters, have brought together a wide variety of artists, whose work includes many surprising variations on the theme of representational self-portraiture.